Continuous improvement is best started with management on board. Expert in the field, Jeff Hajek, describes the structure a company needs to support it. Mr. Hajek is the author of “Whaddaya Mean I Gotta Be Lean?” and “The Continuous Improvement Companion,” the free, award-winning, comprehensive, Lean / Six Sigma encyclopedia. Jeff is also the founder of Velaction, a company dedicated to making lean / Six Sigma and other forms of continuous improvement easier, more effective and more rewarding for the managers, front line professionals, accountants, engineers and employees in the trenches. Brandon Nys: Welcome to Safety Experts Talk. Take a look at our website at CreativeSafetySupply.com/podcast for related links in the transcript of this podcast. Antonio Ferraro: Hello, everyone. This is Antonio. On our episode today is our guest, Jeff Hajek. 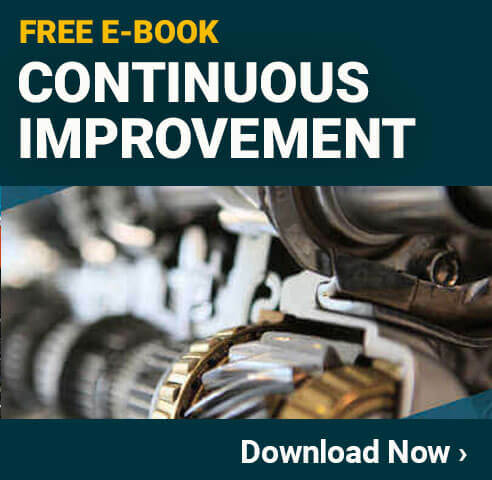 Jeff is an author of “Whaddaya Mean I Gotta Be Lean?” and “The Continuous Improvement Companion,” the free, award-winning, comprehensive, Lean/Six Sigma encyclopedia. He is also the founder of Velaction, a company dedicated to making Lean/Six Sigma and other forms of continuous improvement easier, more effective and more rewarding for the managers, front line professionals, accountants, engineers and employees in the trenches. Jeff, thanks for coming on the program with us. How are you doing today? Jeff Hajek: I’m doing good. Thanks for having me. Antonio: Absolutely, Jeff. On today’s podcast, I want to focus on the path a company takes when creating a continuous improvement culture. And I was wondering if you could explain what it takes for a company to define the continuous improvement culture and what kind of structure they need to support it. It’s not a complete set, “everything you need to know about Lean,” but it is pretty comprehensive in this Lean training system I’ve been developing. So, the message I keep receiving over and over again is that people want a sequential guide to how to do things. And as you know, every company is different and has their own specific needs. But, it’s a very difficult challenge, in that, to get somebody to come in and help you walk through the steps in your situation, it’s very expensive. Companies that are bigger companies can afford to do that and bring in people with a lot of experience, but there’s this big, unserved group of smaller companies that just don’t have the resources to bring in expertise they need, but they still have a strong interest in Lean. That’s really what’s driven this. You know, I started out with this survey. And the same message has come across several times in the surveys that people want to understand… “Give me the practical nuts and bolts of how to do this.” I know there’s a lot of big picture philosophy that needs to go along with it. That’s great in theory but to get going to the point where the philosophy makes sense, you have to be able to start doing things. That’s really what we’re trying to do right now is give a nuts and bolts guide that people can put together to get where they want to go. Antonio: If I remember right, you have a guide like this on your website. The Practical Guide To Creating A Killer Business Management System. Jeff: Mm-hm. I started out this kind of unorganized approach. And now I’ve started writing my Continuous Companion, something like an encyclopedia. So, I’d think of a term. Started filling out the most popular, most sought-after terms first. But that doesn’t give a step-by-step approach. So now what I’m trying to do is take all this information and put into some logical sequence. I started out by creating what I call a transformation model. There’s a lot of transformation models out there. But, I thought about “What are the phases that a company goes through?” Start out with just building the commitment. It’s unfortunate but a lot of people jump into making changes without getting the proper commitment in place. I think there’s something like 76% of companies start some kind of Lean or continuous improvement journey fall off the horse at some point. Antonio: Yeah, right. I’ve found, a lot of times, that management commitment isn’t always there. They start a project, get midway, and drop it. Jeff: Yes, so what I’ve come up with, the idea, is you go through this commitment phase. It really pushes the senior managers a little bit to make them do something. So, instead of just telling other people to get started, it puts a little bit of a burden on them to see how committed they really are. So, if they work for the first phase and they do a couple of these tasks—and these are just simple things like charting up the long-distance course, and you know, maybe going through some lesson plans. Right now the project I’m working on is to start building up all this material. Doing out in the open. So I’m going to be building all these training sections as we speak. So right now the model is in place. As a skeleton, I’m putting all the meat on the bones. But once they get that commitment, then it’s really matter of starting things off. In the beginning there’s this debate about systems versus tools. You know, there’s a Lean system you need to put in place. You’ve got get the tools going. And the truth is, you need both. Jeff: Have you heard this ongoing dialogue about that? Antonio: A little bit. Can you elaborate? Jeff: Well, you know, when people think about Lean, the first thing they gravitate towards is really the tools. They think 5S. They think Standard Work. They think Kaizen. And those are all actually tools. You know, Kaizen is a little bit of a mindset when you think about the daily improvement, the actual mindset of making continuous improvement. But people think of Kaizen, they think of the week long Kaizen blitz, is what they typically think of. Jeff: So they focus on the tools because that’s what they’re familiar with, that’s what they’re comfortable with and that’s what they’ve heard about. But they don’t realize that there’s a whole umbrella of the business management system that makes each of those tools more effective when they link together. So you have to start out somewhere, though. You can’t just build a system without having tools and you can’t put the tools in place effectively if you don’t have some system for them to work on. Jeff: The first phase of this model I put together is that they start the journey. I like to think of it as a journey, but the truth is it’s not really a good analogy. It’s more like an adventure, or exploration, or something, because journey implies an end to it. 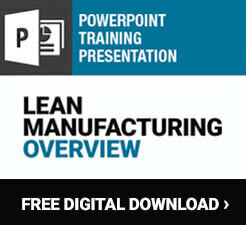 As we know, your Lean adventure doesn’t really have an end to it. You know, I use the term Lean journey all the time because it’s pretty commonplace. But, we’re not really talking about having some end state. We’re talking about creating a system that just goes on forever. With that in mind, you have to start it, though. The “starting it” is really two-prong approach, and one is to get the management team setting up some kind of systems themselves, and that’s part of policy deployment, daily management, things like that. But, you also want to get people going with the tools, and I like to start feeding in the problem-solving tools because regardless of whether the system takes root down the road, those are tools that people really benefit for. And all the Lean tools really are just specific package solutions to particular problems. When you think about Kanban, that’s really a solution that somebody else came up with when they are faced with a specific problem. The problem was: they were running out of stock. So they came up with a solution, and went through problem solving methodology and ended up with a tool that they could use, and now we just use this prepackaged solution. But, to get there you have to understand the problem that was there in the first place. So, problem solving is a very effective place to start for the frontline teams and gets them involved in a less loaded type of curriculum. A lot of times you say “Lean” to people, and there is a baggage that goes with that. Have you seen that? Antonio: Yes, I have. When you say “problem-solving,” does management work with workers on the floor to problem-solve some of the scenarios? Jeff: Yeah, absolutely. And what I like to see is to get people doing Lean and continuous improvement without really realizing it. You go up to somebody and say “What’s the problem you’re facing in your job?” And whether it’s somebody in a call center that can’t find the right manual, or a person who’s running the stock-outs, or a marketer who has to wait too long to get support. Each of these are very specific problems that could be easily handled with some basic problem-solving methodology. So, early on you just want to get people focusing on solving problems, because they’re going to come up with some of the same solutions that Lean tools do anyway. Antonio: So it sounds like communication is really key in the Start Journey phase, right? Jeff: Absolutely. And, you know, one of the nice things about these systems is the systems standardizes your communication. So, if you think about something like policy deployment, and, if you’re not familiar with that, it’s really a way of taking your strategy and breaking it down in a cascading manner to something that the frontline teams can see what their piece of the strategy is. So, you look at the big picture strategy, turn it into a three to five-year objective, break those down into one year annual targets, isolate the processes that will get you to those things, and then turn those into targets that would go down to the front-line teams in what they do on their daily basis. But that’s all a communication tool, right? Jeff: You start out and say “Here’s your strategy.” If you throw “Increase revenue in China by 35% as a long-term target” at a front-line operator, how do they know what to do? You’re communicating to them, but you’re not communicating to them in a manner that they can do something about. Antonio: It seems like this phase, the Start Journey phase, could be good for workers worried about, maybe, losing their jobs. They’ll see their position won’t be eliminated. Jeff: Right, and that’s the baggage I was talking about earlier is—I can’t remember the source of it—but a number that strikes me is 76% of companies don’t get what they want out of their continuous improvement programs. And that’s a pretty high number when you start thinking about all of these employers—whatever that comes out to be, a hundred 50 million people in the country or, you know, whatever the number is. It’s probably a pretty big number—of people who’ve heard great things about Lean and then never saw it materialize. So, there’s this massive number of people who have seen the darker side of Lean, so to speak. And then, if you consider all the turnover of people throughout the country and the economy—people move jobs a lot, and you get a lot of people who have some experience with it—and when they get to a new company that starts trying to do this initiative, they tell their horror stories. Jeff: What we’re trying to do is avoid saying “Okay were rolling out Lean right now.” What we say is “We’re working on some ways of getting people more engaged in continuous improvement, and we’re going to start out helping you with some problem-solving skills.” It’s hard to argue with that. “Well, you’re going to teach me how to solve these problems I’m facing.” And you give people a lot of authority and autonomy early on so they don’t feel like they’re being forced into things. It’s a way of taking an approach to get people gradually brought in, and it leads into this next phase. Once you’ve got that journey started, you’ve got to start laying the foundation. And the foundation is where you really ramp up your efforts on daily management, or start piloting out some of these programs you have. Even though Kanban is a pretty commonplace tool, the processes that each individual company has is very customized, like “Where are the Kanban posts where you drop the cards?” and “Is there a Kanban board in place?” “What do the cards look like, who makes them?” So there’s a lot of very specific processes you need to create within your own company. And if you start building the foundation, what you do is you define these processes in the piloted area so you don’t have four different people trying to do the same thing in different ways, and then have to reconcile them. So, what you do is you start piloting it out, create your processes and then start rolling those out. And over a period of time—you know, whether it’s six months, two years, it all depends on the effort and the emphasis, and the commitment, and the time and resources put into it—but you end up, slowly but surely, building all the foundation. You get this strong support where you’re going to grow. And that’s the part where a lot of companies start to fail. They don’t get the foundation in place and they move on before the systems are ready to go. And then, people just get frustrated. So, if you’re trying to put Kanban place, you’re running into issues. It’s a big challenge, and it’s hard to build commitment with that on a front-line base. You have to build this foundation before you can start ramping up, and that’s the next phase. Jeff: And it’s worth talking about. Antonio: And when you get to the foundation spread, do you ever have negative feedback from workers who were not part of the original journey? Jeff: You know, I think… Every organization is different and I’ve seen some of that, and I’ve also seen some people happy not to be part of piloting. They want to see somebody else take the load on and get things going. But, I think there’s a point where, you’re right, the pilot becomes unnecessary because everybody starts wanting to do other things. And that’s really when you start transitioning out of this ramping up phase to where you start to get this momentum going—when people start pulling for these things to try to do the things themselves. So, it could be, you know, one department that does the Kanban, and a different department that does the daily management. The key is really to get a good process in place before you tell everybody else to do the same thing. Antonio: Uh huh. When you don’t do that, everything falls apart. Jeff: Well, you end up having this competition. If you have one process that’s been refined and you hand it out, and everybody has some say into how to improve it, it’s a much different type of situation than if you have three people all come up with a process and you try and pick one of them to rollout. Because now, in that situation, you telling two people that their processes are not going to be used, and it creates a little bit more animosity. So, I like to see… pick an area for each pilot. And again, as you start out, what you’ll find is that there’s probably one or two areas that have the right combination of leadership and people and attitudes and situational issues. If you have an area that’s your cash cow, and it’s always running overcapacity, and it has a lot of problems, you might not want go and put any kind of fly in the ointment there. You might pick an area that’s been a little more stable, and maybe a little bit slower paced, to be the one to roll out these issues. So, you have to use common sense when you pick your pilot areas. But the whole point of this ramping up thing is you have this great core that you created, but now you have to spread it because you want everybody in organization participating. You don’t have pockets of excellence in a wasteland of waste. Antonio: Right. And do you have team members or stakeholders that go on to each area to implement the spread of piloting? Jeff: That’s something that’s really on the organization to figure out how to spread it out. And I haven’t really standardized that piece of it yet because every organization seems like they have a different way of doing things. Whatever works for the company. The key is really to judge the effectiveness. Make sure that before you go on and try something else, you get it done right. If department “A” gets daily management put in place—however it transfers to department “B”—before you have them try something else, make sure they get it running effectively. Whether that’s a week, and they finally get it up pretty quickly because the process was smooth, or month or two months. You don’t want to throw too many things on a person at once. But you want to make sure there’s a steady push to keep changing, keep getting better. So, you don’t want to give them a break between different new tools and new experiences, but you don’t want to overload either. Antonio: Great. So you’ve got three phases. You’ve got the Start Journey phase. Antonio: And you have Phase 2, Building The Foundation, which includes piloting. Jeff: Right, Building The Foundation, so the piloting is part of that. Antonio: And phase three. What’s that called? Jeff: Ramping Up, I call it Ramping Up. And at that point, once it’s all spread, the key is keeping momentum. Jeff: The Keeping Momentum phase, it’s the fourth phase. For many companies, that’s as far as they go. They get going, they get things in place and they just have to keep adding to it. A new tool will come out, a new way of doing things. They’ll refine it, they’ll spread it, they’ll acquire a company and they have to spread it to there. But, for the most part, what you’re finding is you have to be able to keep that focus on progression. You have to keep people moving forward, and all the systems you put in place, up to then, do that for you. Once you get to this phase, for most companies, it’s the end of the transition. At that point you become a company that has a system in place—business management system in place—and you have a continuous improvement culture. Some companies move on to become a world-class, but it’s a term that is pretty much overused, You know, there’s not really that many world-class companies out there. It’s very difficult to rise above this fourth phase, and very few companies do. Antonio: And are these four phases found in your Practical Guide To Creating A Killer Business Management System? Jeff: Yes, right now, what I’ve done is I’ve kind of laid them over with volumes. Each one is a volume of this five volume set. Each volume, then, will have sections, and each section is going to be a specific topic. Whether it’s a principle that guides you through the ramping up, or starting the journey, how to rollout Kanban, or how to put daily management in place. Each one will be a section, and that section will have tasks that you’ll be required to do. So, right now, what I’ve done is I’ve taken all these 34 different modules I’ve had. I’ve put those in their appropriate spots within each of these volumes. This is my life, probably for the next two years, writing all these different sections that put the meat on the bone, so to speak, like I said earlier. The nice thing about what I’m trying to do is, it’s basically like I’m writing a chapter of book, putting it out there and seeing what feedback is. A lot of my stuff gets better because people use it, and tell me whether it worked or not and I can keep refining it. Antonio: It’s on your website, correct? Jeff: It is on the website, yes, ah, velaction.com. V E L A C T I ON.com/practical–guide. Antonio: Alright, Jeff. Before we wrap this up, any final thoughts on Lean or continuous improvement? Jeff: I think the first thing, you know, it’s always strange to hear people patting me on the back like this. Especially somebody like you who has your own site, and does your own thing that’s also a real useful tool. So it’s nice to have that kind of affirmation from your peer group out there. I think the message I like to always leave people with is just there’s so many sources to go out there and learn from and just never stop learning, you know, keep going after it. And keep telling the people what works. The biggest thing that helps me is when I get feedback. If somebody sees something that they like, tell me they like it. If something doesn’t work or they try it, tell me that too and I’ll take it out. The world is changing so much now, and it’s such a great time to be in our role where you can go out help people, because you can get so much feedback so quickly. Antonio: Jeff Hajek has been our guest. He is the author of “Whaddaya Mean I Gotta Be Lean?” and “The Continuous Improvement Companion.” Jeff is also the founder of Velaction, a company dedicated to making Lean/Six Sigma easier. Jeff, thanks for coming on the program with us. Jeff: Thanks again for having me. Antonio: ’Til next time, podcast listeners, I’m Antonio Ferraro.